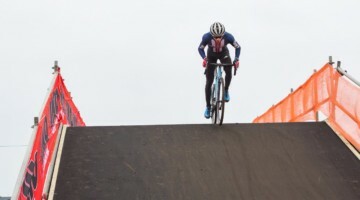 Unlike the Elite races, which look like they will be contested by many riders from around the world, the U23 and Junior races come with a few heavy favorites in each race. While snow is likely, our photographers set foot on the ground and captured shots of the Friday course, which includes loads of mud and ruts already covering the course. Junior Men’s start list is here, U23 Men start list is here. Also, don’t miss our Elite Women and Elite Men’s Preview of Tabor. Despite losing Wout van Aert in the U23 category due to the young rider’s ambitions to battle with the Elite men, the Belgian squad is still stacked with talent, most notably in Michael Vanthourenhout and Laurens Sweeck. 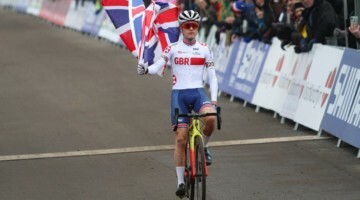 The former of the two had won the World Cup and had been able to out-ride Van Aert to a first place finish at Valkenburg. Still, late in the season, it’s Sweeck now firing on all cylinders. In the last ten matchups, Sweeck has beaten Vanthourenhout head-to-head nine out of ten times. 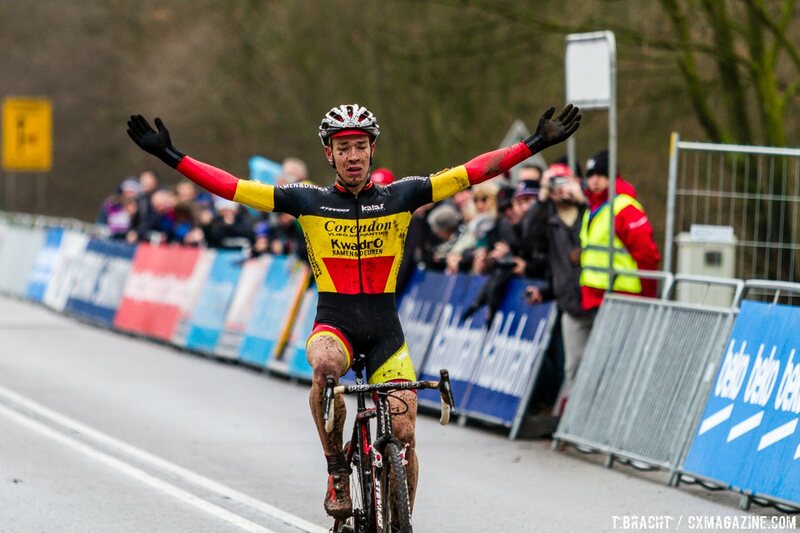 The other rider of note is Toon Aerts, who finished second in the U23 Belgian National Championship behind Sweeck. The rider with the fifth overall call-up will also want to create waves at the front row. Eli Iserbyt is the rider you can’t ignore come tomorrow morning. 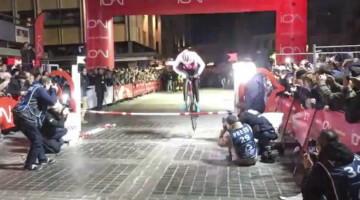 He is first in the world in both UCI rank and overall World Cup points. 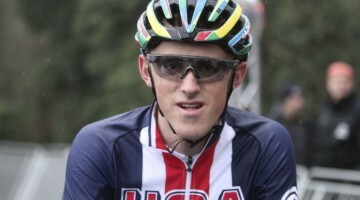 He is methodical and has the legs of a U23 or Elite rider. While we try and avoid the term “dominating” when describing a season, it’s appropriate here. In 2014-15, Iserbyt has only lost once: in the World Cup at Naumur against Johan Jacobs. Remember, by “lost” we mean second place. In every other race he’s done this year, he’s stood on the top step of the podium. Jappe Jaspers will be lining up on the front row as well, and as a ninth ranked overall rider, Jarne Driesen will likely be lining up directly behind Iserbyt.